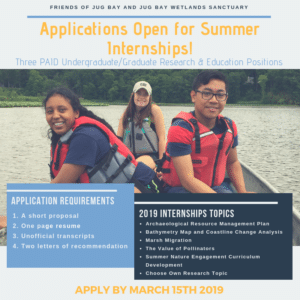 Jug Bay Wetlands Sanctuary and the Friends of Jug Bay are currently hiring for three undergraduate/graduate summer internships for 2019. 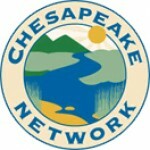 The internships run for approximately 12 weeks and a $4,000 stipend is provided. 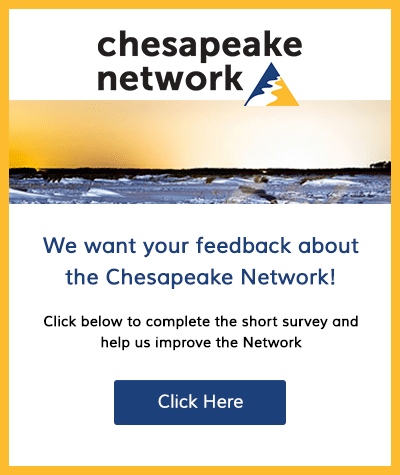 Candidates interested in the two research internship positions will be asked to choose from a list of topics of interest to the Sanctuary or submit a proposal for a research topic of their choice. school holidays and summer youth camps. For more details about these internship opportunities and application instructions, visit http://bit.ly/JBWS2019Internships.